An important aspect of being a multiplying church is that we need to be multiplying leaders! It has been so encouraging to see many new leaders emerging in all areas of the life of Redeemer. The Redeemer Eldership Team is completely committed to also seeing new elders come into place as we grow and multiply. It is therefore with great joy that we would like to propose Bram Kersten for eldership in Redeemer. 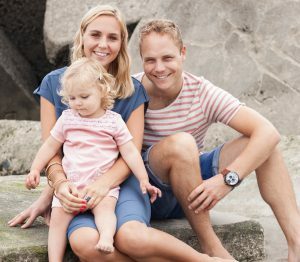 Bram and Lisanne have been a part of the church since the very start (in fact they were the first people who agreed to join the team that was to form the start Redeemer!). They are an excellent couple and have consistently shown a deep love for God, the church, people around them, and each other(!). Bram is not perfect – we are not expecting him to be – but as we see the Biblical qualifications for eldership as spelled out in 1 Timothy 3 and Titus 1 we are happy that he meets the criteria necessary. God: Paul reminds the elders in Miletus that is was the Holy Spirit that made them overseers (Acts 20v28), and of course all pastors and teachers have been given by Christ himself (Eph 4v11). Apostles: On their first apostolic trip the apostles Paul and Barnabas appointed elders in every church (Acts 14v23), and we may assume that the Jerusalem apostles did the same in their region of churches (Acts 11v30). Paul commissioned Titus to appoint elders in every town in Crete (Titus 1v5), and he told Timothy and Titus the characteristics that would qualify leaders for oversight of local churches (1 Tim 3 and Titus 1). Other Elders: Timothy probably became an elder when the company of elders laid hands on him (1 Tim 4v14), and common sense tells us that fellow elders play a key role in approving and accepting a new man into their team. The Local Church: Due to the emphasis on an elder’s good reputation & respect, clearly the local church itself needs to approve the appointment of their elders. Dave Holden (whom many of you know) is a man to whom we look to as a church for ‘apostolic’ leadership. Dave and his wife Liz know Bram and Lisanne well. They have been involved in this process for some time and are fully supportive of the elders decision to propose Bram for eldership. Given that we have done this on Sunday 25 September, we are now in a period where we would love to hear your response as a church. It is very important to us that the people of Redeemer are behind this decision. Please do come to us in the coming days and weeks to share what you think and what you may feel God speaking to you about, and ask any questions that you may have.